It says a lot that a season with 11 victories is seen as a disappointment for Mark Cavendish. And yet he won more professional road races this year than any other British rider. Cavendish won 11 races in his first year as a professional (2007) and again in 2010. The difference in 2014 was that he failed to complete a Grand Tour for the first time since his debut season. Everything was built around the Tour de France and a showdown with Marcel Kittel. With stage one finishing in Harrogate — his mother’s hometown — and the potential to wear the yellow jersey for the first time, the tension and expectation in Yorkshire was immense. 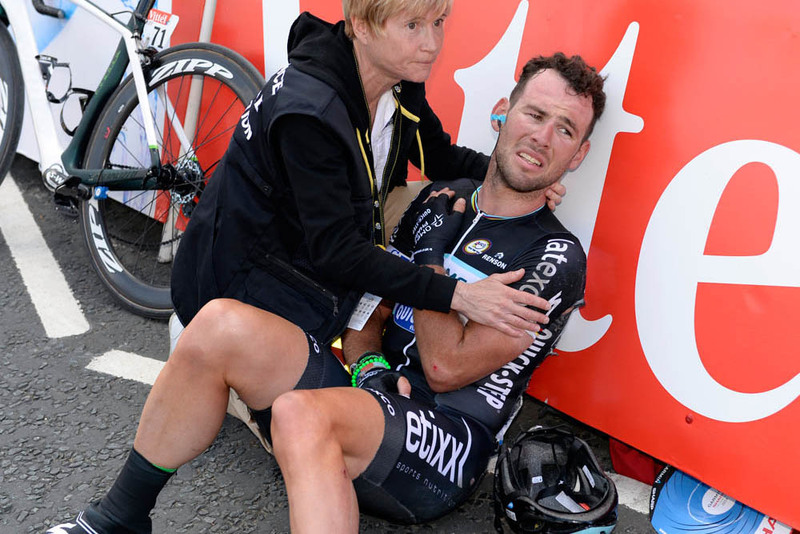 Cavendish is not just an all-or-nothing athlete; he’s an all-or-nothing person. That sprint defined the phase his career is currently in. He’s been so much better than everyone else for so many years. Now he has a serious rival, yet he will give everything, risk everything, to prove he’s still the best. The crash left him with a separated shoulder and left us with a sense that one of the great battles of the season had been postponed. Up to then, Cavendish had been going quite nicely. He won stages at the Tour of the Algarve, a couple at Tirreno-Adriatico and put himself in contention at Milan-San Remo to finish fifth, a race that many considered beyond him. Four wins at the Tour of Turkey, two at the Tour of California and a victory at the Tour of Switzerland continued the upward curve. How good was Cavendish going into the Tour? We can’t know but it would have been a surprise if he’d not managed to take at least a win or two from Kittel.